Fast acting anti-bacterial fragrance free hand wash from Bio D. Kills 99.9% of harmful bacteria whilst being gentle on your skin. The Bio D Sanitising Hand wash - Fragrance Free - 500ml product ethics are indicated below. To learn more about these product ethics and to see related products, follow the links below. Lovely and soapy. Doesnâ€™t have any overpowering smells. 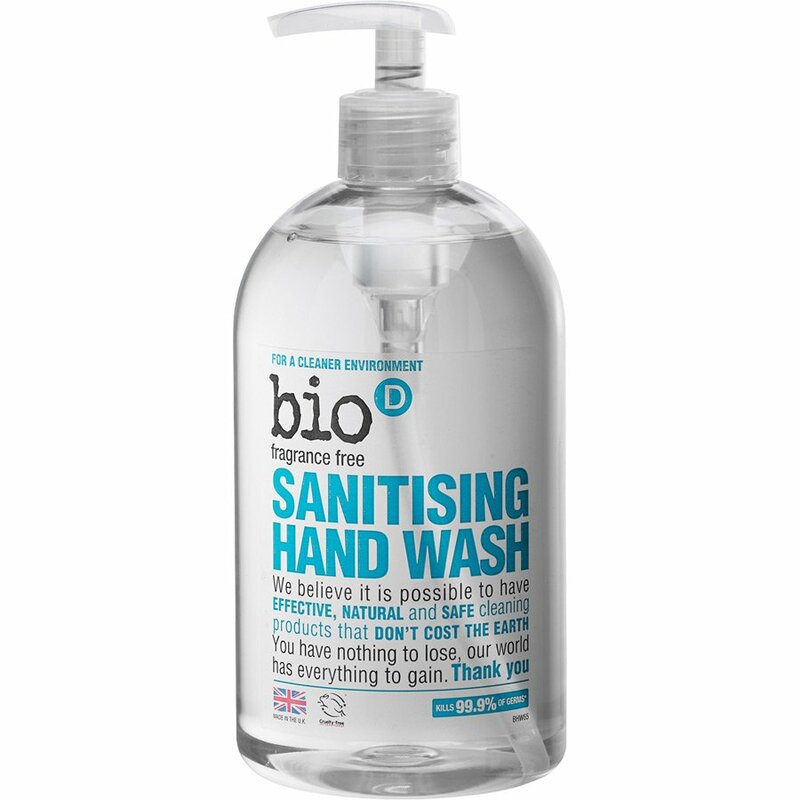 There are currently no questions to display about Bio D Sanitising Hand wash - Fragrance Free - 500ml.